Are you looking for a way to organize and still have room for a friend to visit? 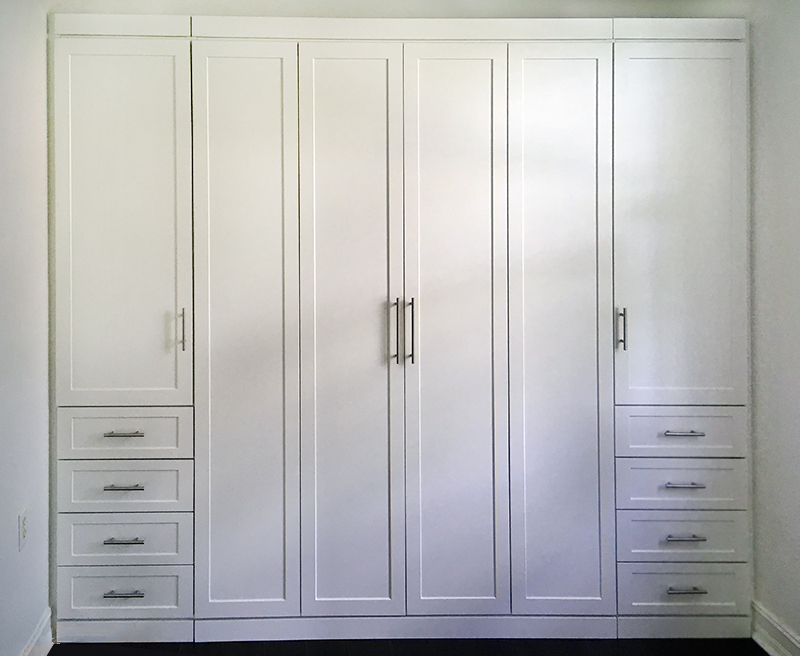 Take a look at our latest install, a Bi-Fold bed and wardrobe storage. This setup provides a spacious room and a guest bed, plus, with two side wardrobe storage units, it has plenty of extra storage space on both sides of the bed. Professionally installed by our own installers, no sub-contractors. You can get a free measurement from our fully trained staff prior to making your decision with no obligation to buy.